Relieved from leaving the Malibu cliffs, we pulled into Oakhurst, CA, a mere forty-seven miles from Yosemite Village. 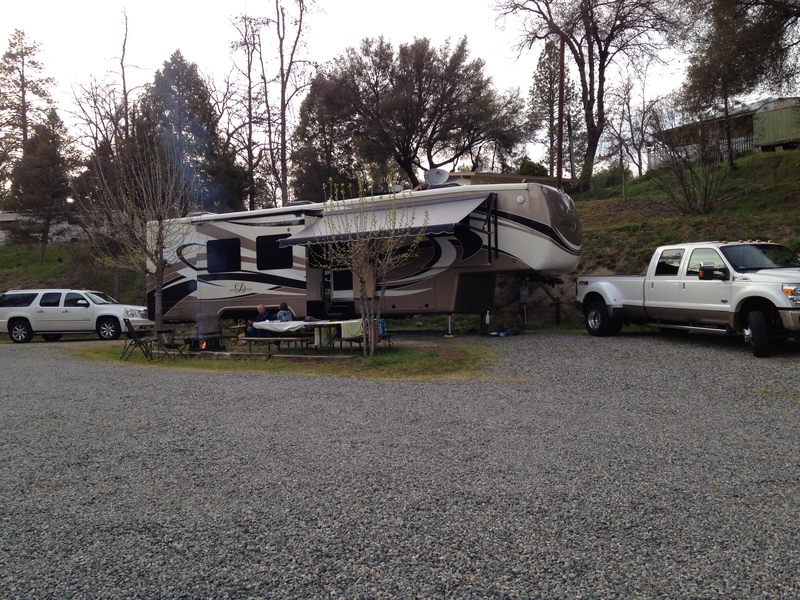 It’s the closest town with RV hook-ups to the national park’s southern entrance. Don’t read between the lines and think that closest means nicest and full of amenities. Nope, none of that. Two weeks into our five-week RV stay in Phoenix, we left the fifth-wheel at the RV Park and drove northwest to Las Vegas opting to stay in a hotel for a week. Look, I was desperate for a bathtub. The RV shower closet isn’t cutting it. Seriously, a girl needs a soak. There’s something about warm water and time alone with my thoughts that’s healing to my body and soul. I usually gain clarity, a fresh perspective, and shaved legs.